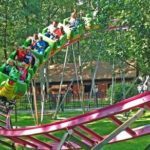 When you go to an amusement park, you might be wondering what it is that you should go on with your kids area some of the rides are too small for adults to go on with their children, but there are some that will allow both to ride together. 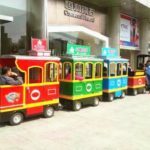 If it is a smaller amusement park, there is one ride that you will almost always find which are called Rocking tug rides. 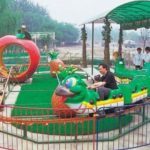 These are considered to be one of the most fun amusement park rides, design for people that love to go out on the water, and that look very much like an old-fashioned tugboat. Here are the benefits and drawbacks of riding on this particular ride, something that most people find fun to do. 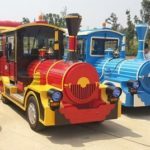 To begin with, when you find this ride, the first thing that you will notice is that it looks very similar to a tugboat. 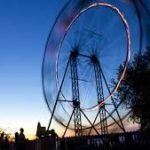 It will have an area where people can sit, where you walk inside, and strap yourself in just like a regular carnival ride. 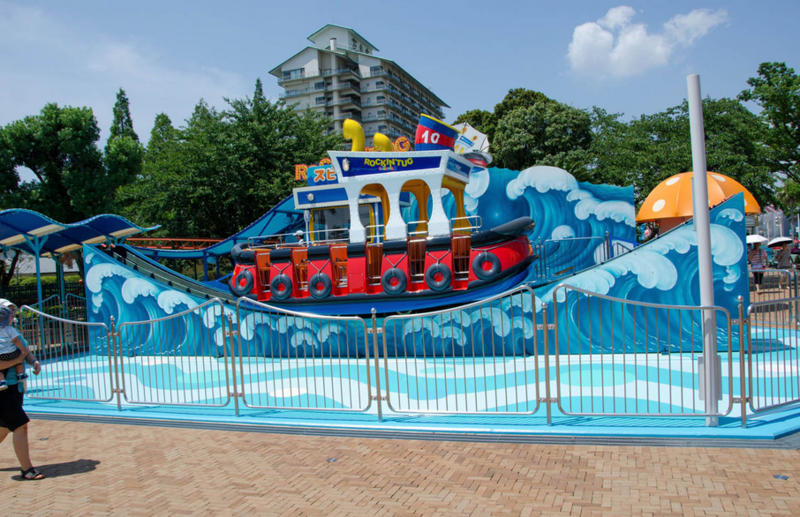 The primary difference between a regular boat ride, and this particular one, is that it is set up on miniature tracks which allow the ride to go back and forth. The ends of the tracks will go up on either side, allowing you to get some elevation before sliding back down to go to the other side. 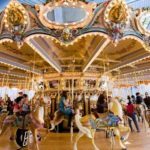 Additionally, the boat actually spins, although not very quickly, which means that adults that have problems with dizziness when they go on a ride, or children that are a little fearful of larger roller coasters, should not have that much of a problem at all. They last for about 90 seconds for the full duration of the ride, usually short enough where people that could get sick won’t get not just at all. The main complaints about this ride is that it is much too short. Its popularity tends to cause longer lines which means you could be standing in line for 30 minutes or more, only to ride for about 90 seconds. Additionally, the way that the boat turns while going up and down does tend to make some people nauseous. You might be hoping that it is over long before the minute and a half is up due to the way that it mimics going over turbulent waters as if you are out at sea. For the most part, this ride is actually fun, though it may not be one of your favorites. Most people go to amusement parks and ride the rides in order to have peaked exhilaration. 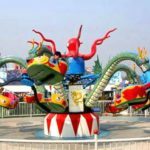 It’s also not designed for people that get sick on rides like the Octopus which go up and down, and also spin, two motions that tend to lead to knowledge you which this ride can definitely produce. 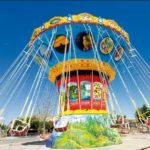 Otherwise, it’s very fun for most people, and definitely something that you can share with your little ones if you would like to ride a ride with them at the carnival this year.